As an electronic engineer I've always had a weakness for electronic gadgets. I don't think many people can claim to have carried a Psion PDA on a traverse of the Mejie or to Pt Lenanna at 4985m on Mt Kenya (I did leave it behind for our attempt on Batian). This trip is going to be no exception, in fact because I will be continuing to provide technical support to my ex-employers I will be taking more than usual. See the separate page for information about the computer. 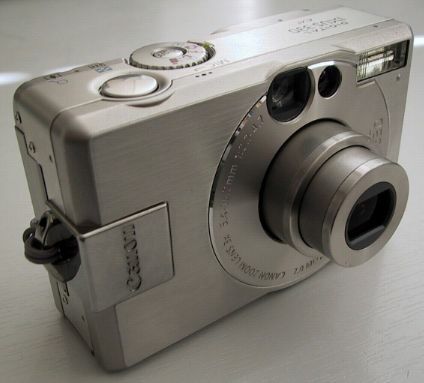 Canon IXUS330. Before this I had a Canon Powershot S10 (with which I took the photo above) which I thought was great except that I wanted more range in the zoom. The IXUS330 has a 35-105mm (35mm equivalent) which still isn't much use for wildlife but it is so small and light that I can't really complain. It takes very nice photos and the 'Photo-stitch' software lets you create smashing panoramas. If the computer packs up I'll simply put the Compact Flash card in the camera which at 512Mb is enough for a thousand hi-res photos. A digital camera is great for travelling because you can make copies of your photos, email them to people, put them on a website and never have to trust your precious film to a tatty developing machine in some out of the way place. The problem of course is that if you don't have a computer of your own to backup to, when the memory card is full you have to find a friendly internet cafe to download the pictures and burn a CD. A nice solution to this that I saw another traveller with is a device called a multi-media jukebox. It is essentially a 20Gb laptop hard drive plus some basic software and a small display. You can connect memory cards to it via an adapter and copy their contents onto the hard drive, you can view the pictures on the device (somewhat slowly) and also use it as an MP3 player. And for further data secuity you can connect it via a USB lead to an internet cafe computer and make a backup to CD. 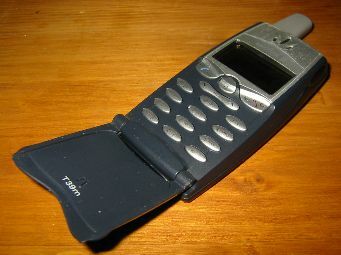 A similar device is the Nixvue Vista. 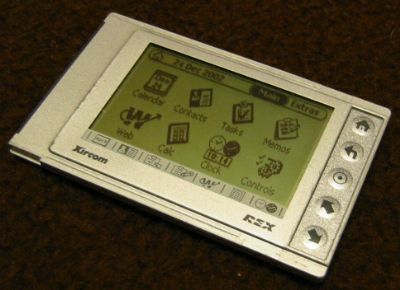 I have a REX6000 as a general organiser and ebook reader. I hardly use the organiser features as they aren't really necessary when all you have to do each day is pedal a bicycle and remember to buy some food. The ebook reading is very handy though, it is an awful lot lighter than even one book. It can store about three books and of course there are plenty more on the computer. Ju has a Casio Pocket Viewer for similar reasons. The cell phone gives a faster connection than the satellite phone so it is cheaper when you have coverage. It also works indoors and can be left on all the time without consuming more power than my dynamo and solar panel can provide. Iridium don't support SMS either so it's handy for that. As a bonus the phone I have can access my POP and SMTP email so it will be useful if the computer packs up. It's an Ericsson T39. No good being all equipped to trouble shoot but with no communications. 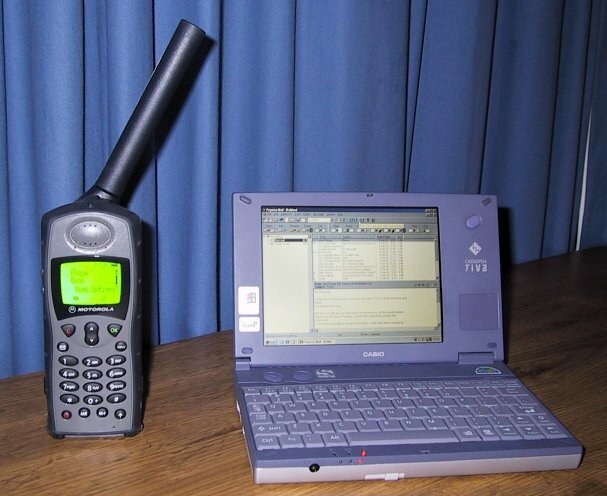 An Iridium phone is the only to way to stay in touch anywhere (except indoors although it's OK through one layer of roof and you get intermittent coverage near a window) and thanks to their refinancing the cost is no more than an international mobile phone call. An infrared port connects it to the laptop for the weekly email check, and urgent messages can be delivered by text from www.iridium.com. I can charge the phone from my multi-purpose charger, click here for specific phone electronics info. The only problem with the arrangement shown above is that the infra red port of the Fiva is on its left hand side, and that of the phone is likewise. So to actually use the two together you have to turn the phone round, and then you can't see the signal strength meter.